After a disappointing performance from "Batman v Superman: Dawn of Justice" last year, the DC-based films took a huge punch in the gut. But with the success of "Wonder Woman" earlier this year, there was actually hope that things may take a much-needed 180-degree turn for the middling franchise. With "Justice League", steps are finally taken to rectify the wrongs from past films. While "Justice League" had problems of its own, the end result is, at least at its core, a pretty good and entertaining experience. With Superman (Henry Cavill) now gone and an unknown force slowly wreaking havoc across the globe, Bruce Wayne (Ben Affleck) enlists the help of his newfound ally, Diana Prince (Gal Gadot), to work find and recruit a team of metahumans to stand against this newly awakened threat. But despite the formation of this unprecedented league of heroes — Batman, Wonder Woman, Aquaman (Jason Momoa), Cyborg (Ray Fisher) and The Flash (Ezra Miller) — it may already be too late to save the planet from an assault of catastrophic proportions. While not the best DC film in the DC Extended Universe, "Justice League" easily comes second to "Wonder Woman". That sounds fantastic and in most parts it was but the film is no way perfect. 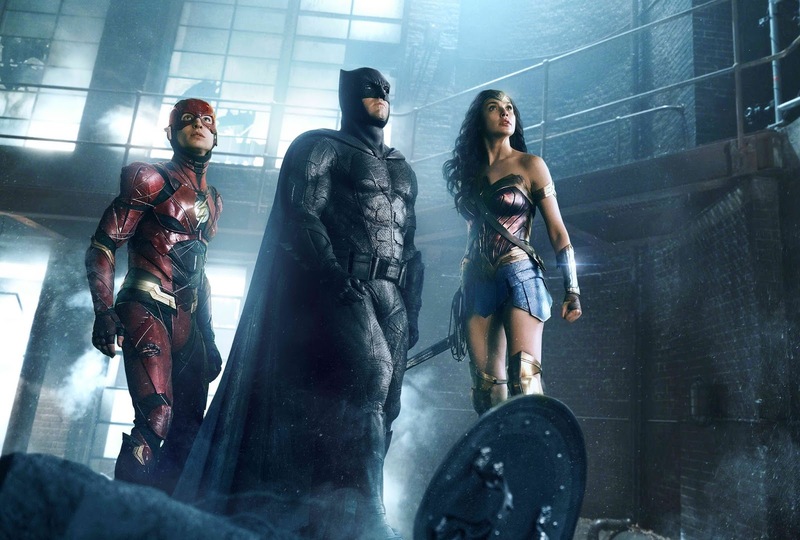 But first things first, the biggest fear we had for "Justice League" is the same one we had for Batman v Superman" - primarily how dark, dull and utterly confusing that film was given the epic amount of material it tried to present. "Justice League" alone had at least five heroes to introduce with more than half of those literally having their first major outing in a DCEU film. Surprisingly, it all turned out swell. The film was able to balance introducing and making these characters interesting with equal amounts of on-screen time. 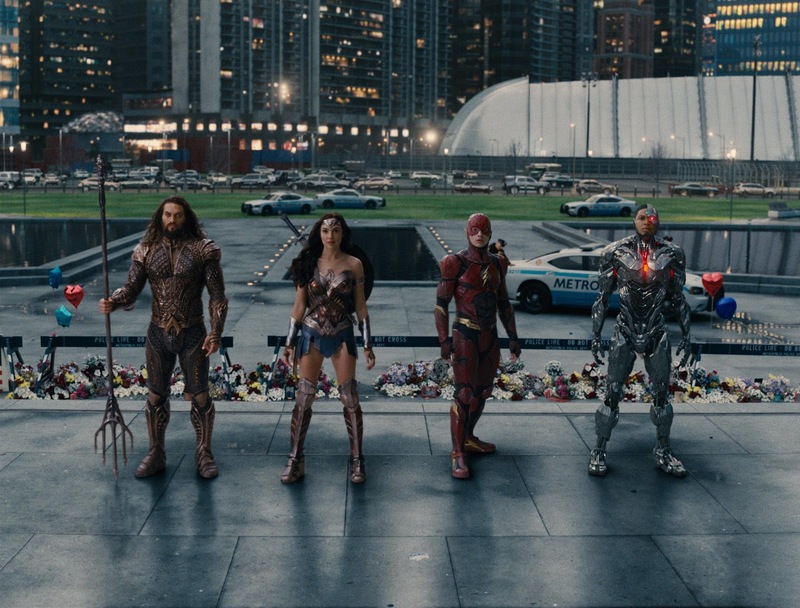 As for each one's backstories and origins, the film never really delved into those in "Justice League" but it never hurt the narrative as you think it would. The film had one goal in mind and that is to make this a team of superheroes that gel together and that process, how uneasy it was for the Batman to do, was the best part of the overall plot. As for the heroes themselves, we still love Affleck's portrayal of the Batman and this is the same case for Wonder Woman. For the new guys, Jason Momoa as Aquaman was as good as the former heroes mentioned but his arc was pretty much non-essential in the bigger picture in our opinion. Cyborg and the Flash were just okay. 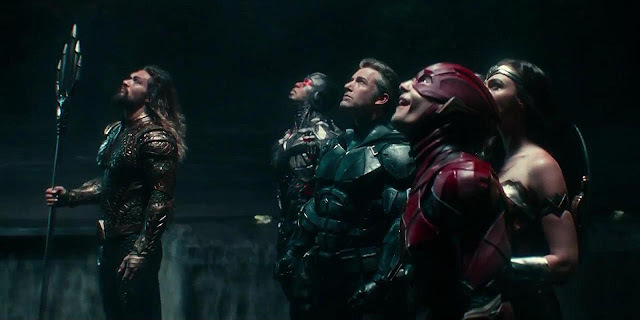 For Cyborg, we felt his character lack that punch to stand out while The Flash was a great source of comedic laughs but Ezra Miller's portrayal feels oddly-familiar and nothing original. One of the biggest disappointments we had for "Justice League" is its visual effects. For a blockbuster film, "Justice League" had disappointing effects that clearly looked CGI. Just look at Steppenwolf and you'll know what we mean and it doesn't help that the film is a barrage of effects from start to finish. Overall, "Justice League" was a huge improvement for the franchise. If you asked us last year if the DCEU had a fighting chance against its rival, our answer would be a huge no. But with "Wonder Woman" and now "Justice League", things are literally looking brighter.